Some dreams are difficult to achieve, but people with a strong will are still able to achieve them. 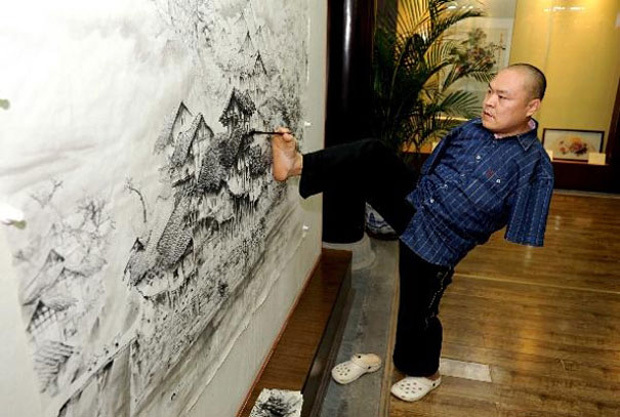 Huang Guofu is a person with such a strong will. 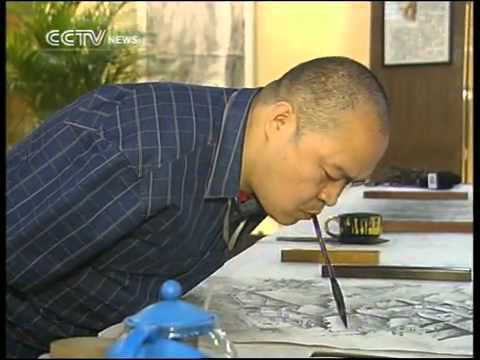 This Chinese painter uses his mouth and feet to draw beautiful paintings after he lost his both arms in a violent accident. 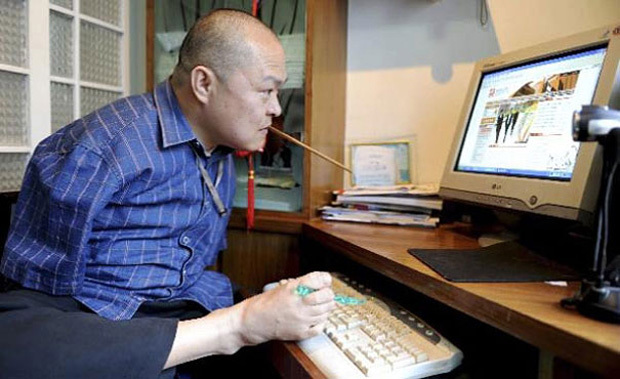 Huang Guofu is now 42 years old and his touching story really demonstrates that even seemingly impossible dreams can be achieved using a strong will. At the age of 4 years, he lost the use of his arms. 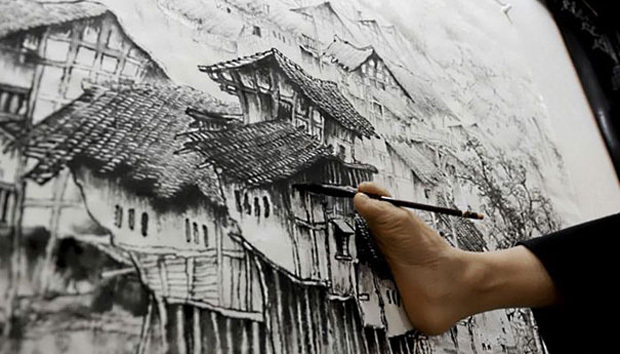 At age 12, he started using his Feet to pursue his passion of painting. 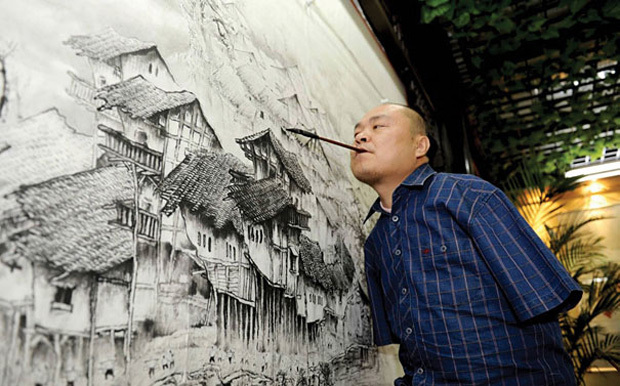 When Huang Guofu reached his adulthood, his father fell ill. To pay for treatment, he had to stop school and became a professional painter. 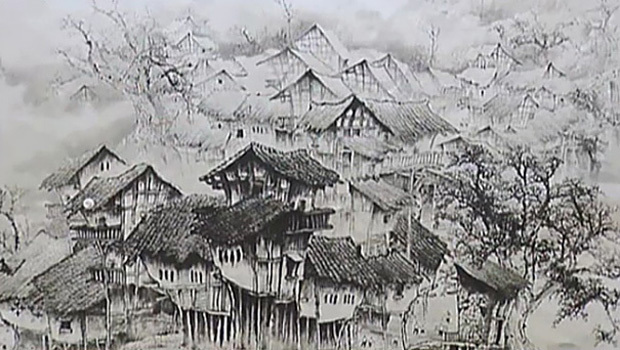 At first, he sold his paintings on the street, but quickly learned that his creations lacked elegance and most buyers bought them out of pity. 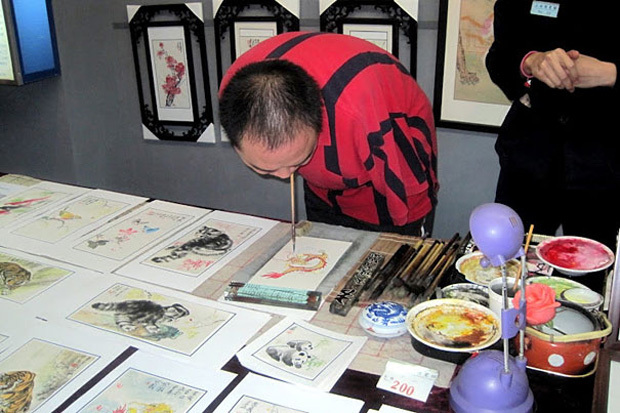 However, he did not stop here and even learnt to paint by inserting the brush into his mouth. Huang Guofu is a man of determination and explains his desire with this sentence: ” God may have closed the door, but he left a window open for me and this allowed me to earn a happy living. I would say that I appreciate what God gave me”. How do you find the work of this extraordinary artist?